Classical music: Which piece of music did you first connect with emotionally and how old were you? Another weekend, another reader survey. For The Ear, music was and remains much more an emotional experience than an intellectual one. So he was intrigued when he came across a survey question on the Internet earlier this week. The question was simple: When did you first connect emotionally with a piece of classical music and how old were you? And what was the piece and composer of the piece that you first connected with emotionally? It sounds so easy. But The Ear found himself going back through time and really straining to choose the right answer. Early on, The Ear loved the sound and drama of Smetana’s tone poem “The Moldau.” And he loved some works by Johann Sebastian Bach that he heard in church. During piano lessons, there was some pieces by Chopin. 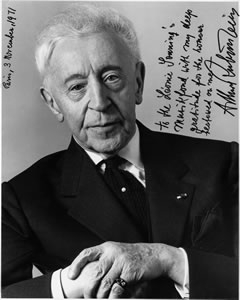 Since he himself was a young and aspiring pianist, The Ear has realized, he no doubt first connected with the powerful recording by Arthur Rubinstein (below top) of the Piano Concerto No. 2 in C Minor, Op. 18, by Sergei Rachmaninoff (below bottom). That recording also featured Fritz Reiner conducting the Chicago Symphony Orchestra, and you can hear it in the YouTube video at the bottom. The answer really isn’t a surprise — young people love the sweep of Romantic music. After all, on a lesser emotional level, Rachmaninoff had also moved The Ear with the famous Prelude in C-Sharp Minor — the “Bells of Moscow” — which spurred The Ear into starting piano lessons when he heard it played live and right in front of him by a babysitter. How intently he listened to the concerto, with a friend in the basement of his friend’s house, over and over again. How it moved him and never failed to move him – and still moves him today. And then, maybe at 12 or 13, he rushed out and bought the Schirmer score tot he concerto when he was old enough and skilled enough to try to play some of it – the famous opening chords and excerpts from the beautiful and lyrical slow second movement. That experience of playing even excerpts also proved very emotional. Now, there is also a practical purpose to this question. The answer just might give adults an idea about how to attract young children and new audiences to classical music. How old were you when you first connected EMOTIONALLY to classical music? And who was the composer, the piece and the performer that you connected with emotionally? The Ear hopes you have just as much poignant fun recollecting the answer as he did. Let us know the answer in the COMMENT section with a YouTube link if possible. Classical music: BBC Music Magazine asks 10 concert pianists to name 10 unknown piano concertos that deserve more attention and performances. If so you heard some relatively unknown works by Ernest Chausson (a Poem for Violin and Orchestra played by Yamamoto) and Francois Borne (a Fantasy on Themes from “Carmen” for flute and orchestra played by Urgcic) plus soprano Whiteway singing a famous aria from “Romeo and Juliet” by Charles Gounod.). But the finale was Kutz (below) playing a somewhat truncated version – edited for time constraints of the competition — of the famous “Rhapsody on a Theme of Paganini” by Sergei Rachmaninoff. Kurtz did a bang-up job of this great work, which for The Ear, may just be his best and most concise work for piano and orchestra. You just can’t beat that work’s ultra-Romantic 18th Variation – at the bottom in a popular YouTube video with pianist Arthur Rubinstein and Fritz Reiner conducting the Chicago Symphony Orchestra – that is, a friend remarked, much like the “Nimrod” Variation of Sir Edward Elgar’s “Enigma” Variations. It is irresistible and never fails. But the concerto repertoire is such a rich one! There is something just so appealing about seeing the dramatic cooperation bertween the soloist and the orchestra. So I was pleased to see that the BBC Music Magazine recently asked 10 concert pianists to name 10 concertos that they think are neglected and should be better known and performed more often. The story included enlightening statements as well as audio-video clips of excerpts. Read and listen and see what you think. The Ear knows a fair number of piano concertos, but a lot of these were new to him. And do you have any names of concertos and composers to add to the list? Classical music: Four UW-Madison concerto competition winners and a student composer will be featured in a special concert and reception this coming Sunday night at 7. The big event at the University of Wisconsin-Madison School of Music this week, is the “Symphony Showcase” concert on Sunday evening at 7 p.m. in Mills Hall. The concert will spotlight the annual concerto competition winners plus a new work by a student composer. It is a special ticketed event that includes a post-concert reception in the lobby outside Mills Hall. Tickets cost $10; students get in for free. 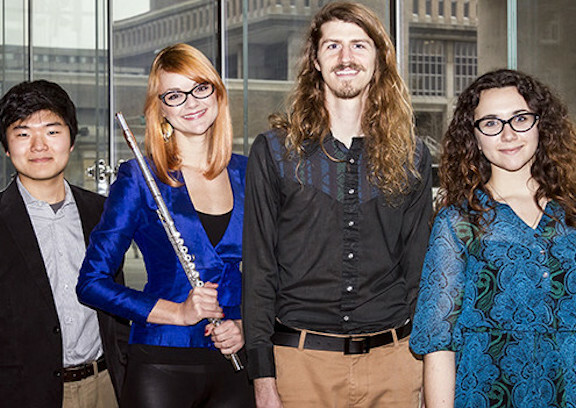 The competition winners (below from left to right, in a photo by Michael R. Anderson) are: Keisuke Yamamoto; Ivana Ugrcic; Jason Kutz; and Anna Whiteway. Ivana Ugrcic, flute, a doctoral student and Collins Fellow studying with flutist Stephanie Jutt. 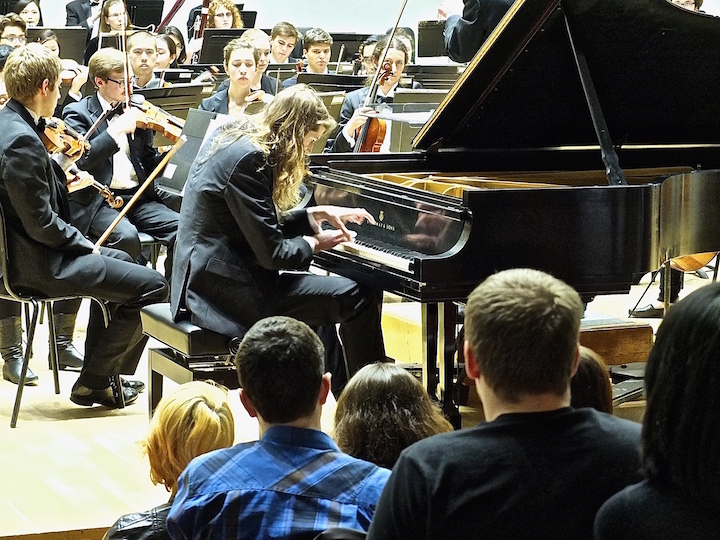 A native of Serbia, Ugrcic has performed as a soloist and chamber musician all over Europe, and received her undergraduate and master’s degrees from University of Belgrade School of Music. She will perform “Fantaisie Brillante” (on Themes from Bizet’s Carmen) by Francois Borne. Keisuke Yamamoto, violin, an undergraduate student of Pro Arte violinist David Perry, earning a double degree in music performance and microbiology. Keisuke, born in Japan but raised in Madison, received a tuition remission scholarship through UW-Madison’s Summer Music Clinic, and also won honors in Madison Symphony Orchestra’s Bolz Competition, among others. He will perform “Poème,” Op. 25 by Ernest Chausson. Anna Whiteway, an undergraduate voice student, studying with Elizabeth Hagedorn, visiting professor of voice. Whiteway is a recipient of a Stamps Family Charitable Foundation scholarship as well as the Harker Scholarship for opera. Whiteway, who was praised in 2013 for her singing in University Opera’s production of “Ariodante” by George Frideric Handel, will star in the The Magic Flute by Wolfgang Amadeus Mozart this spring. For this night’s performance, she will sing Je veux vivre (Juliette’s Aria) by Charles Gounod. 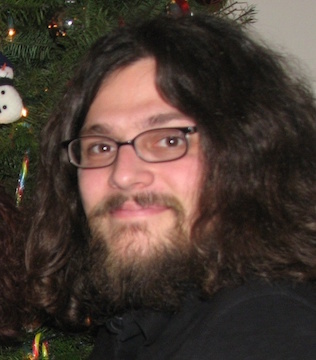 The composition winner this year is graduate student Adam Betz (below), a Two Rivers native who wrote a work titled Obscuration. 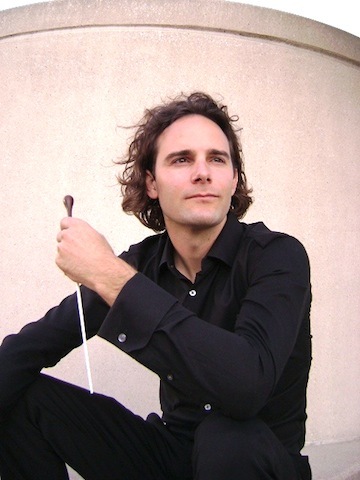 Betz received his undergraduate degree from UW-Oshkosh, where he was named Outstanding Senior Composer. 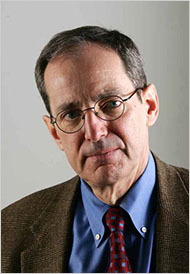 He also holds a master’s degree from Butler University in Indianapolis. The opening work, the curtain-raiser so to speak, is advertised to be Capriccio Italienne by Peter Ilyich Tchaikovsky. But an orchestra player says it will be the Overture to the operetta “Die Fledermaus” by Johann Strauss, Jr. The concert will also feature the UW Symphony Orchestra under chief conductor James Smith (below top) and graduate student conductor Kyle Knox (below bottom). Classical music: What pieces and performers first hooked you on classical music? Here is what hooked critic Anthony Tommasini of The New York Times. Every once in a while, it’s good to look back and realize with renewed appreciation what pieces and performers first hooked you at a young age on classical music. That is exactly what Anthony Tommasini (below), the senior music critic for The New York Times, did this past week. You could call it nostalgia, but it really was more of a Proustian act of recovering lost time, without a lot of sentimentality but instead with a lot of clear-eyed adult analysis and appreciation. He was born into a non-musical family, but the young Tommasini nonetheless found himself inexorably drawn toward classical music. As a young pianist, he got hooked on some unusual repertoire, short pieces that are often overlooked today. Can you guess which pieces by which composer? They might surprise you. 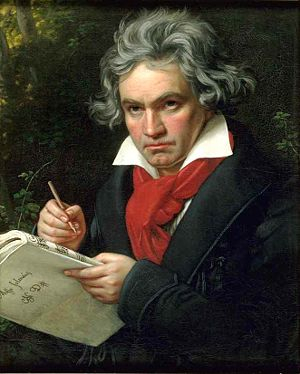 And he favored certain well-known dramatic works by Beethoven (below) especially one particular piano sonata he attempted to play as well as a couple of other sonatas and one of the piano concertos. Both sets of works, small and large, were performed by two of the Truly Great Pianists of his youth — Arthur Rubinstein and Rudolf Serkin. Tommasini also write about his first opera that hooked him for life on opera. Care to guess which one by which composer? And where he heard it? 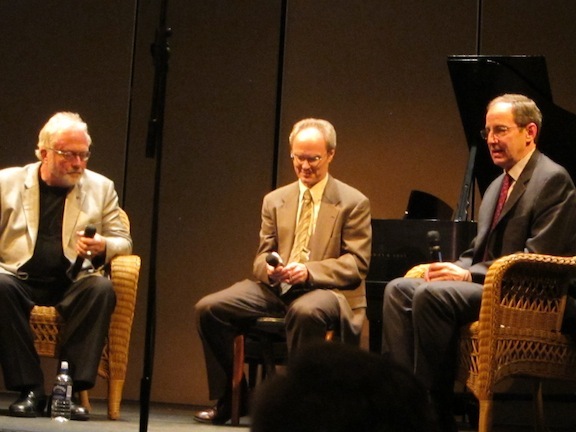 You may recall that Tommasini, a trained composer, is probably the most respected classical music critic in the U.S. today, along with Alex Ross of The New Yorker magazine. Like Tommasini, I too was given to romantic drama, or even melodrama, as a young person. That, I suspect, is typical. Young people don’t generally first fall in love with the Baroque. 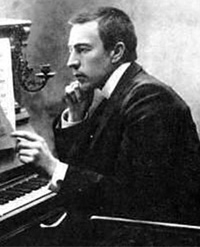 I just adored Sergei Rachmaninoff‘s Prelude in C-sharp minor, called “The Bells of Moscow” by its fans and called “It” by Rachmaninoff who grew to detest the popular piece that he was always asked to play as an encore. And I too had to try my hand or hands at it, to play and perform it. And then it was Rachmanioff’s lush Piano Concerto No. 2 in a great old recording by Arthur Rubinstein and the Chicago Symphony Orchestra under Fritz Reiner. What pieces and performers first hooked you on classical music? 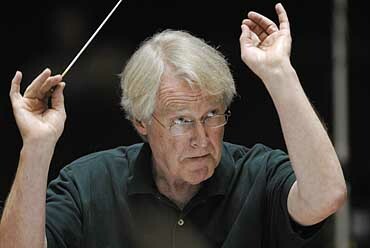 Classical music: There is more to conducting than just waving your arms and pointing your fingers. The New York Times, the Juilliard School of Music and New York University’s Movement Lab offer a revealing deconstruction of a maestro’s movements and motions. One of the most exciting and informative classical music stories to appear in a long time is the recent story about what the movements of an orchestra conductor mean. 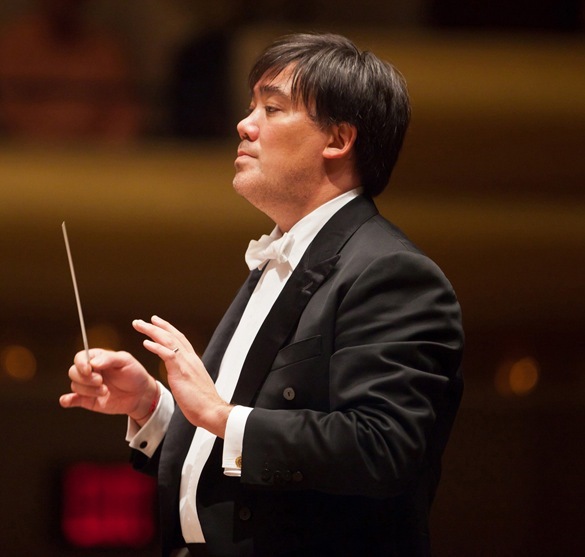 The conductor is question was the New York Philharmonic Orchestra’s music director Alan Gilbert. 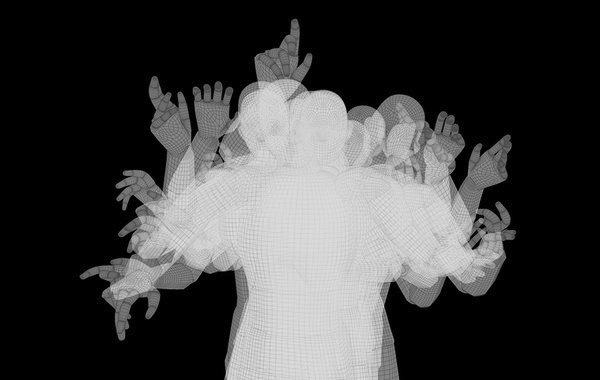 Thanks to the Juilliard School of Music, where Gilbert heads up the conducting program, and to New York University’s Movement Lab and its motion-capture computerized graphics, Gilbert was recorded conducting and then explaining what the movements mean. It is like taking a mini-seminar is an art that takes many years to master, and even then some conductrors obviously do it much better than others. Some conductors — like Leonard Bernstein — flamboyantly sand dangerously danced around a lot on the podium while other conductor — like Fritz Reiner and Herbert van Karajan — were known for an almost total economy of movement.